According to Iran’s defense minister, the Revolutionary Guard has received its first batch of brand new missiles, featuring enhanced guidance systems to hit ground targets. Developed by Iran’s Aerospace Industries Organization and successfully test-fired last month, General Ahmad Vahidi says the Defense Ministry supplied the guard with the upgraded surface-to-surface Fateh-100 missile. Previous versions of the missiles had ranges of up to 120 miles or 193 kilometers. The specifications on the new Fateh-100’s are still up for speculation. 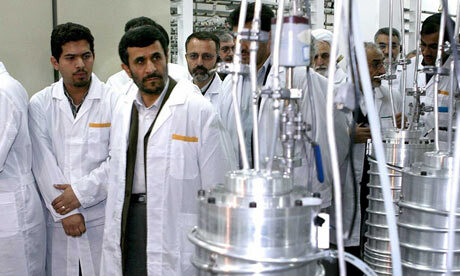 While rumors have surfaced that Ahmadinejad is considering ending the country’s uranium enrichment, a complex computer worm has affected the personal computers of the staff at that country’s first-ever nuclear power plant, just weeks before the facility is to go online. Named Stuxnet, the computer worm can do serious damage to systems which control the inner workings of industrial plants. On a semi-related note, Moscow and Jerusalem signed a military cooperation agreement – actually the first of its kind – in early September, during a visit by Defense Minister, Ehud Barak. Israel is to sell the not-always-trusted and not-always-rational, builder of the Iranian Nuclear Power Plant, Russia, 36 UAV’s at a price of just $100 million. Is $100 million worth Russia’s Iranian cooperation and human-rights violations in Georgia? Well how about a $300 million joint-venture to manufacture Israel drones in that country? Yes, the rumors are true. Russia will continue to supply Syria with advanced P800 sea-to-surface cruise missiles. These are the most advanced of their kind in the world! Will they be transferred to Hezbollah? Most signs point to yes. The Russians, however, won’t deliver S-300 surface-to-air missile defense systems to Iran. Apparently that would be taking things one step too far. The S-300, capable of shooting down aircraft and missiles at ranges over 144 kilometers and altitudes of 27,342 meters, would have been helpful to the Islamic Republic in combating an attack by Israel. Meanwhile, last Tuesday, Italian authorities seized seven tons of explosives at a shipping container port in Gioia Tauro, Calabria. The shipment, sent from Iran, headed for Hezbollah in Lebanon and Hamas in Gaza, was being transported by a Swiss-Italian shipping company to Syria. The UN is appointing a Malaysian Astro-physicist to head the Office of Space, to welcome extra-terrestrial visitors to the planet.